This spring marked the first time that the FDA has approved a cancer therapy based on its effectiveness in treating cancers that have a specific genetic signature, or biomarker. Until now, new therapies have received approval only for the treatment of specific types of cancer based on where in the body the cancers originate. The cancer drug receiving this new approval is Keytruda (pembrolizumab). It belongs to a category of immunotherapy drugs called PD-1 inhibitors, which act by “releasing the brakes” on the immune system. Keytruda has already been approved to treat metastatic melanoma, lung cancer and certain other cancers. With this new approval, Keytruda is now an option for patients with any type of advanced cancer that has biomarkers identifying it as “microsatellite instability-high” or mismatch repair deficient. Tumors with these biomarkers are most commonly found in colorectal, endometrial and gastrointestinal cancers, but are also sometimes found in many other types of cancer. There are a number of caveats with Keytruda, including that it only works for a fraction of the patients receiving it— although it does work very well for a few. In addition, it has significant toxicities and is extremely costly. The approval and its implications, as well as concerns, are discussed by Dr. Elaine Schattner in an article in Forbes. For additional background on the approval, see this post in the AACR Cancer Research Catalyst. In CAR-T cell therapy, a patient’s own immune cells are removed from a sample of the patient’s blood, genetically engineered to attack cancer cells, multiplied and injected back into the patient’s bloodstream. This August, the FDA approved a version of CAR-T cell therapy, called Kymriah, to treat pediatric and young adult patients with advanced leukemia that is resistant to standard treatment. This is the first time a treatment of this type has received FDA approval. The treatment is highly customized to each individual patient and there are side effects that must be carefully managed. As a result, it will only be available initially in a limited number of cancer centers, and its cost will be extremely high. In addition, the long-term effectiveness of the treatment, as well as any long-term adverse side effects are unknown at this time. Earlier in the summer, an FDA advisory panel had recommended approval. After that development, Dr. Leonard Lichtenfeld, deputy chief medical officer of the American Cancer Society was interviewed on what the pending FDA approval would mean for cancer patients and what happens next. The $475,000 price tag for the drug alone does not include the hospital stay and other costs associated with the treatment, and total costs to the patient could go much higher. An article in Health News Review discusses issues surrounding the price tag for the treatment, and the extent to which these issues have or have not been adequately addressed in news coverage and by the manufacturer. In a study reported in the journal JAMA, researchers followed about 10,000 women who did not have cancer but did have mutations in the BRCA1 and/or BRCA2 genes for about 5 years to learn more about the risks for breast and ovarian cancer when these mutations were present. The study confirmed earlier estimates of risks for breast and ovarian cancer by age for women carrying these mutations. It also showed that both family history and the location of the mutations on the BRCA genes influence risk. Information of this nature that women can receive in genetic counseling may help in making decisions about the type and timing of any preventative strategies they may be considering. An article on the National Cancer Institute’s website provides more information about the study and its findings. Not everyone who has inherited mutations that increase risk for cancer actually develops cancer. What else may be driving the actual start of a cancer? In a recent study reported in the journal Cell, researchers found that aldehydes, a common class of chemicals present in the environment, increase cancer risk by interfering with our cells’ ability to repair damaged DNA. This effect increases risk for everyone, and individuals with BRCA2 mutations are particularly susceptible. Our study shows how chemicals to which we are increasingly exposed in our day-to-day lives may increase the risk of diseases like cancer. It also helps to explain why the ‘faults in our stars’–namely the faulty genes we are born with–could make some people particularly sensitive to the cancer-causing effects of these chemicals. OncLive reports on several of the key studies presented at ASCO. 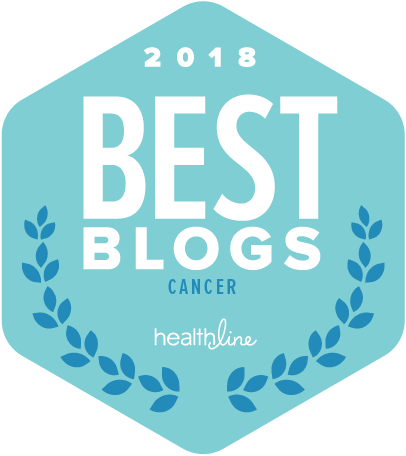 Science Daily writes about several ongoing studies reported on at ASCO that are examining ways to improve the effectiveness of the immunotherapy drug Keytruda by using it in combination with another immunotherapy drug or with standard therapies. Cancer Research UK discusses 4 areas worth watching following the ASCO conference.